At DB Domestics we pride ourselves on top customer service, from picking your appliance, delivery, installation and after service. Most of our items we sell can be delivered the next day and installed for free. All our deliveries are carried out by our own delivery and installation team. 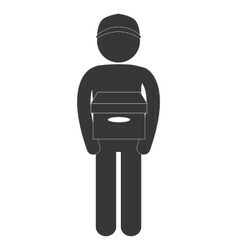 When ordering online we will contact you during working hours to arrange a suitable day and time. We have AM and PM allocation slots for delivery, so you don't have to wait in all day for your new appliance. *Gas and electric cookers are both fitted free of charge, but gas will incur a charge of £20 for a new gas hose. ** Built in appliances are all fitted free of charge to existing connections. Leveling,height adjustment and re-hanging the door is an additional charge. This is charged at £50. We aim not to make you pay a penny extra at DB Domestics but unfortunately some appliances do carry a surplus charge for installation or removal. Gas installations must comply to Gas Safe regulations, including having a bayonet fitting plumbed in and at an accessible position and distance. Gas safety certificates can be supplied on request. Electrical installations must comply with regulations enforced, must be accessible and in a safe condition for the fitter to complete installation. Applies to all products on the website that are currently in stock. 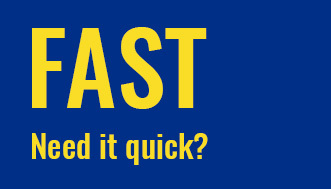 You can choose between an AM or PM delivery slot free of charge. We always aim for next day delivery on all our large appliances including dishwashers, washing machines, fridge freezers, chest freezers, ovens and electric cookers. Same day delivery is only available within the Eastbourne area and must be booked prior to 12pm that day. Subject to availability. Gas installations are made on a Tuesday, delivery and installation is free on all gas cookers, but a new gas hose must be supplied at £20 to comply with gas safety regulations. Built-in Double and single gas ovens are fitted at a surplus charge of £45, this includes the new gas hose. Free delivery is standard on all large appliances bought at DB Domestics. 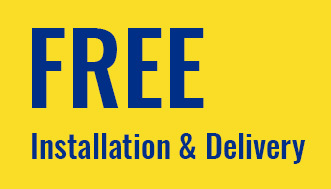 As well as free delivery, all installations and removal of old appliances are free of charge unless otherwise stated on the additional delivery charges. DB Domestics reserve the right to refuse fitting if the connections do not meet regulations or the fitter feels it may damage or harm the appliance, property or persons. Gas appliances are fitted by a Gas Safe registered installer. * We do not install gas hobs, electric hobs or cooker hoods. Please contact the office for recommended reliable trades people. ** We can provide a gas safety certificate on request. *** If your property does not meet gas safe regulations, then our company has the right to refuse to fit appliances. Please see guide for gas installations or contact the office for more information. 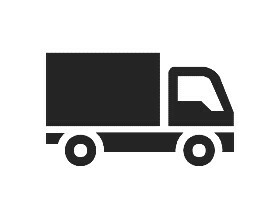 All spare parts and accessories are delivered by courier on a 24 hour service. All deliveries within the area below are free of charge, if you are outside this area please call us. Area includes, Eastbourne, Polgate, Bexhill, Lewes, Hailsham, Hastings, Seaford, Newhaven, Falmer, Brighton, Heathfield, Uckfield. We can also travel to surrounding areas like Tunbridge Wells and Tonbridge if necessary.